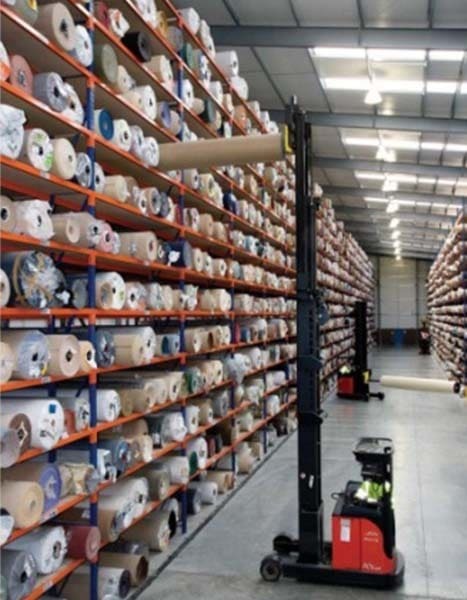 Carpet Racking utilises adjustable Pallet Racking Frames and Beams in a wide range of configurations to accommodate a wide variety of carpet lengths and roll diameters. 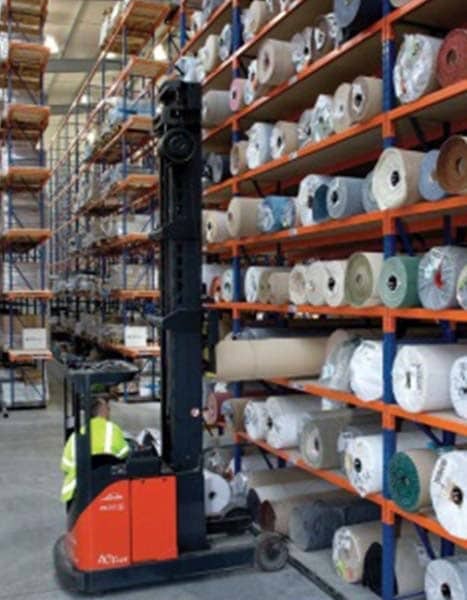 Rolls are typically loaded end-on into the Racking system via a specially designed attachment on the fork lift or reach truck and the 75mm slot pitch in the Frame Uprights allows Beam levels to be positioned specifically to suit differing rolls diameters maximising use of available height. Beam levels can be decked with Chipboard, Timber, MDF etc. to allow smaller carpets and off-cuts to be stored. Each system is designed on a bespoke basis, but there are similarities in many applications which include vinyl roll and artificial turf roll storage racks providing a good basis from which to start the design process. 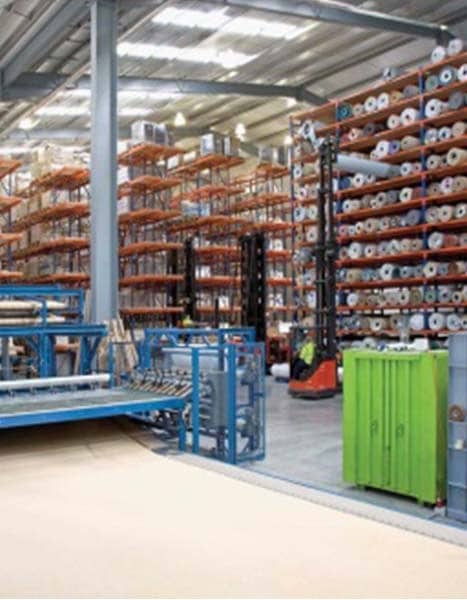 As manufacturers utilising the very latest production equipment, Redirack can meet all requirements on a cost effective basis to suit individual customers’ needs for all pallet racking solutions.